The Portuguese center Camões IP in collaboration with EUNIC cluster in Prague invited me to design the first Mobile App for all official european cultural events. 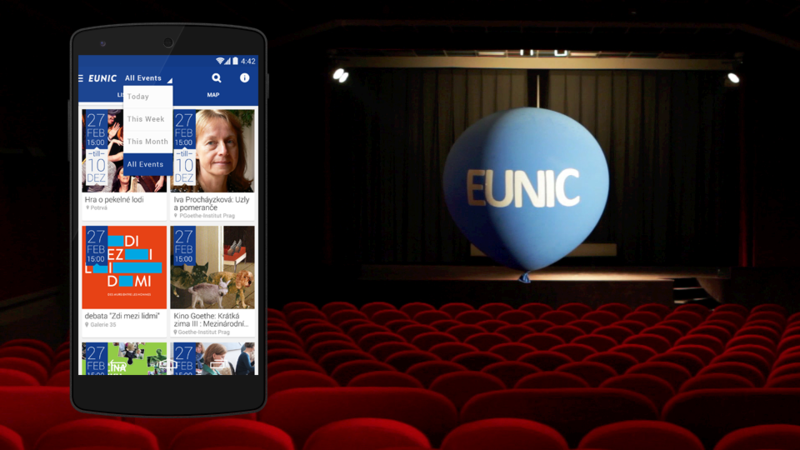 Mobile app uniting cultural agendas of European Union National Institutes for Culture – EUNIC – in one place. In close partnership with Juicymo and Unicorn Colleague we develop the app for iOS and Android. The application was launched in Prague as pilot project but it is ready to be used across all european clusters. Joaquim Ramos, Director of the Portuguese center Camões IP, in a press release.